I have been avid trekker ever since I was 12, when I used to explore the hills while my family went for shopping on Mall roads in hill stations. In my life as a trekker in the last 20 years, I have come across treks of varying difficulties in India, each one with a character of its own. It is difficult to pick the best out of the lot, since each one has been special in its own way. But I trust my memory here to help me pick the very best treks in India. I am listing down here the top 10 treks in India based on the criteria that trekking experiences I haven’t been able to get out of my head are definitely the best ones. It was only last year that I embarked on this trek in Ladakh. While I am not listing down the top 10 in any particular order, Chadar Trek for me stands out as the best India has to offer. I cannot think of any place where you would get to walk on ice in sub-zero temperatures, let alone a frozen river that remains that way for a sizeable part of the year. Walking on a frozen river, with frozen waterfalls for company, is a surreal experience. Chadar Trek gave me a high like I have never experienced before. It was some years ago that I embarked on this trek, but it still remains fresh in my memory. Valley of Flowers lies a little beyond the religious spot of Joshimath in the Himalayas. The experience start from the time you embark on the journey from Rishikesh, travelling along the Alaknanda River. The north-eastern part of India is something very different from the rest of the country. The culture and the people here is unique when compared to the rest of India. 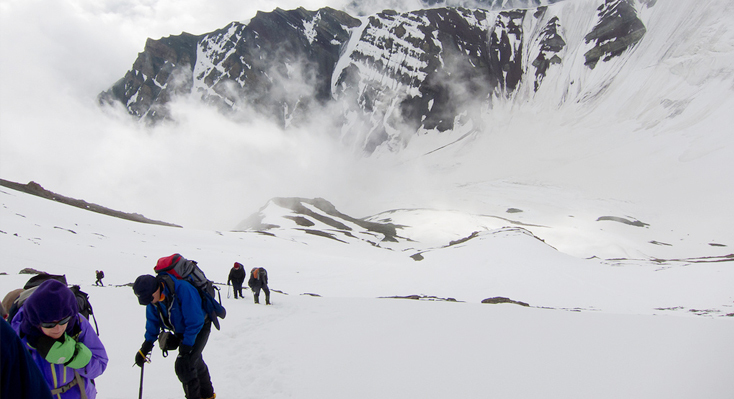 That makes Goechala Trek very different from all the other treks in the Himalayan region. It was only three years ago that I embarked on Goechala Trek, and the experience was simply superb. Trekking through rhododendron forests, camping by Samiti Lake and catching magnificent views of Kanchenjunga is an experience I won’t be forgetting very soon. I am an adventure freak and a winter lover, which can be a dangerous combination. 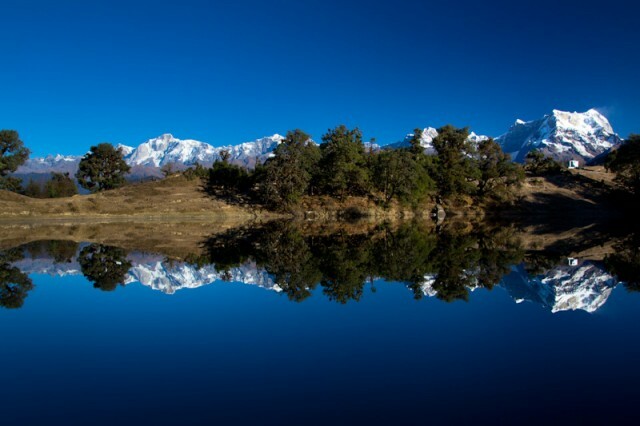 I happened to trek to Deoria Tal Lake during the winter months during my younger years (when I was in my early 20s). Even after close to a decade after the Deoria Tal experience, it remains as fresh in my memory as new. Deoriatal Lake is a beautiful lake nestled between the Kedar and Neelkanth peaks. It is surrounded by forests which are home to exotic wildlife, which just adds to the trekking experience. If you ask me, I would crown Ladakh as the king of trekking destinations in India. It has such a lot to offer to everybody. Markha Valley trek is one of the many gems of Ladakh, when it comes to treks in Ladakh. If you would like to be adventurous, but not too much, I would recommend this trek to you. It takes you through Markha Valley, passing through landscapes that seem to change at every turn. You can choose to camp or stay in homes of villagers. The latter is always a fun experience. Compared to other treks that I have listed above, there isn’t anything special about Kudremukh trek. In fact, the beauty of the Himalayas is incomparable. But somehow, this trek has remained with me over the years, and that’s why, it is in this list. The Kudremukh Trek takes you on a trek to Kudremukh Peak, passing through Kudremukh National Park. I can still remember seeing deer and elephants on my way up. And the views I got from the top are still fresh in my memory. The fact that you need to complete this trek, to and fro, in one day, adds that much needed spice to it. 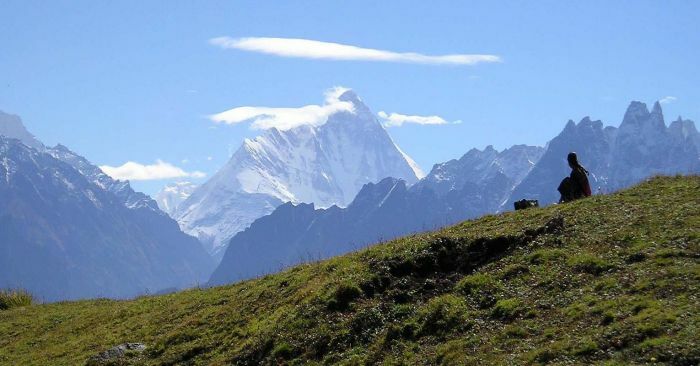 The Garhwal Himalayan region has several treks to offer, each one of them being spiritual in its own way. The Roopkund Trek is one of them. I remember travelling through virgin forests and bustling Himalayan Rivers during this trek. It is a relatively short trek, lasting just about 4-5 days. Nevertheless, it is a beautiful trek to embark on. Honestly speaking, I have dreamt of scaling the Mount Everest one day, but Stok Kangri is the closest I have come to realizing the dream. For those of you who share similar dreams with me, Stok Kangri Trek can be an exhilarating experience for you. Stok Kangri is located a little more than 6000 meters above sea level. It is one of the most challenging treks in Ladakh (out of all the Ladakh treks I have experienced). Scaling Stok Kangri can give you a real sense of delight and achievement, and I am speaking that from experience. Ever since I have seen Titanic on TV, I have been mesmerized with glaciers (apart from Kate Winslet). That’s why, when I got the time to take a trek to Pindari Glacier an year ago, I wasn’t going to let the opportunity go by. The trek isn’t much of a challenge, and there is nothing much to write home about the journey. But it is the destination which takes the breath away. Doesn’t a combination of wildlife adventure and snow capped mountains sound exciting to you? It did to me and that’s why, I undertook a wild trek through Hemis National Park in Ladakh. I hopped from one village to the other, looking for signs of the majestic snow leopard, and fortunately, I did catch a glimpse of it on the penultimate day of my trek. Oh, it is such a beauty.